Immigrants living in the United States often live in fear of deportation. A noncitizen, whether a visa holder, permanent resident, or other immigrant, who is charged with a criminal offense faces the very real possibility of being forcibly sent back to his country of origin. Immigration and Customs Enforcement (ICE) workers may remove any person who violates the conditions of a visa, overstays the via, or commits certain offenses. If you are not a citizen of the United States and you face criminal charges in Central Florida, you need the aggressive representation of Orlando criminal defense attorneys. Immigrants in the U.S. who are suspected of committing criminal offenses face a unique set of rules and a hostile justice system. There are two categories of crimes immigrants can commit that can lead to devastating consequences for immigrants uncertain about their future: aggravated felonies and crimes of moral turpitude. A noncitizen who commits a crime in either category will likely face deportation and be banned from returning to the U.S. in the future. This list is prone to modification, as it has grown since Congress first established it in 1988. More offenses may be added. Anyone who seeks to obtain or maintain a U.S. green card but who has encountered law enforcement should understand the concept of crimes of moral turpitude. A conviction for one of these crimes can block a visa or green card application. It can also prevent a current green card holder from displaying the “good moral character” required for a successful U.S. citizenship application. If you seek to reside in the United States legally, having a conviction for one of these offenses can destroy your hopes of doing so. 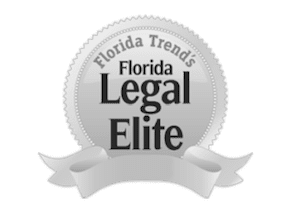 If you face charges for a crime involving moral turpitude in Central Florida, it’s imperative to work with federal defense attorneys in Orlando who can aggressively defend these charges. Being permanently banned from returning to the U.S. The Umansky Law Firm employs a team of devoted criminal defense lawyers who seek to provide citizens and noncitizens alike with second chances. We have over 60 years of combined criminal law experience that will boost your defense. Our board-certified criminal trial lawyer also has extensive experience fighting federal immigration charges in Orlando. Contact us by calling 407-228-3838 for a free consultation or reach out to the firm online.